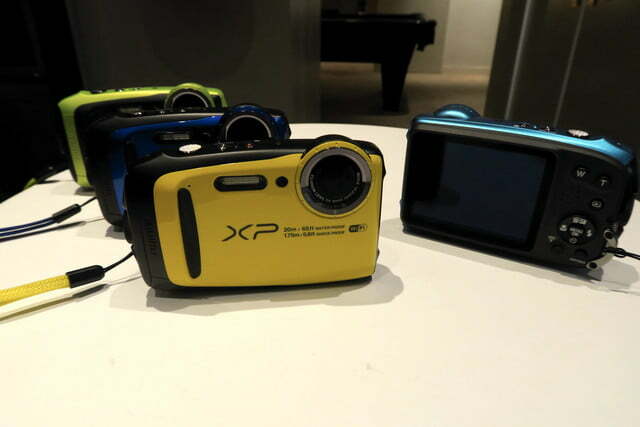 Fujifilm’s waterproof compact can now dive a bit deeper — the new Fujifilm FinePix XP120 can dive down to 65 feet, as well as shooting cinemagraphs, or moving pictures, in camera. 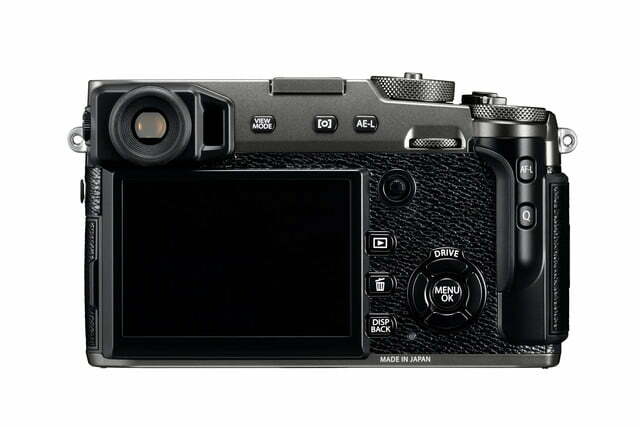 The new XP120, announced today, was introduced along with a new graphite versions of the company’s existing X-T2 and X-Pro2 mirrorless cameras. 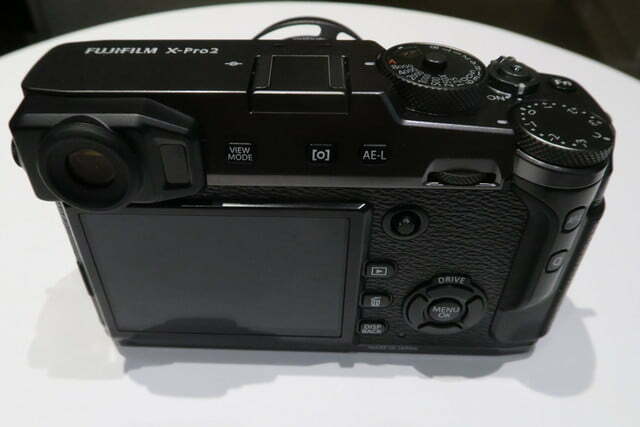 Announced during 2017 CES, the new waterproof camera, an upgrade to the Fujifilm XP90, wraps up much of the same hardware, including a 16.4 megapixel 1/2.3-inch sensor. That sensor though now uses a backlit design, which essentially moves the hardware to the back of the sensor, improving the camera’s low light performance over the same sensor without the backlit design. 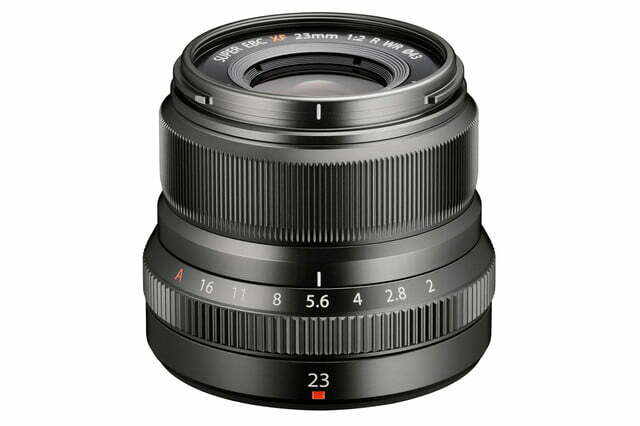 Like the predecessor, the sensor is paired with a 5x optical zoom lens and a processor sufficient enough to shoot at a solid 10 frames per second for stills. 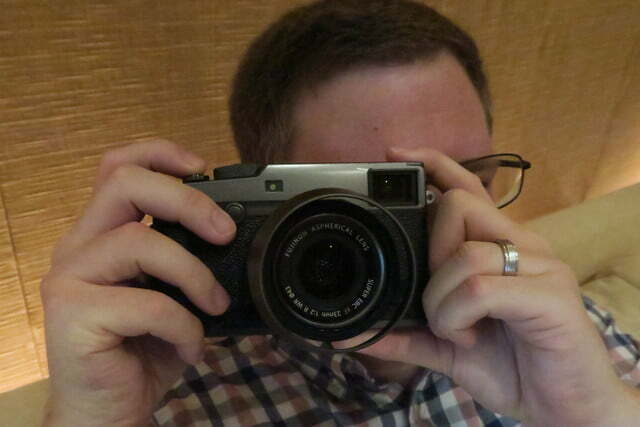 Along with the slight redesign in the sensor, the camera is now a bit more waterproof. While the XP90 was rated down to 50 feet, the 2017 version can head down to 65 feet, along with boasting similar shockproof ratings at 5.7 feet, freeze-proof standards down to 10 degrees Fahrenheit, and dust sealing. 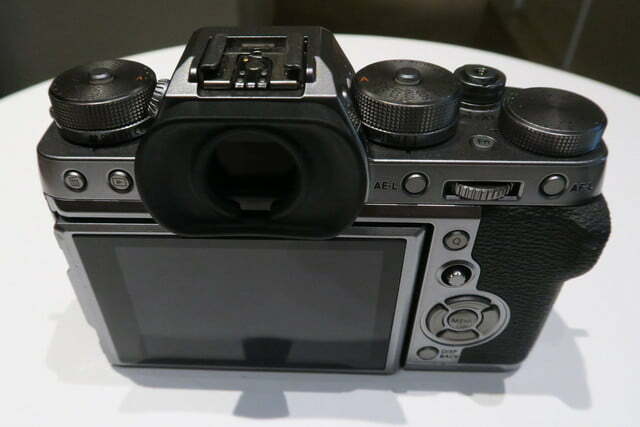 That rugged body includes a 3-inch LCD screen with an anti-glare coating as well as a control scheme simple enough to use underwater or while wearing gloves, Fujifilm says. While much of the hardware remains unchanged outside the backlit sensor and enhanced depth rating, Fujifilm has added a new perk via software — cinemagraphs, or moving photographs, can now be shot in-camera. The cinemagraph, or a still photo with only one element moving, usually takes some time in a standard photo editor or a program dedicated to the image type. With the camera’s latest feature, those moving images can be shot in camera. The camera still continues to offer an built-in intervalometer for creating time lapses, as well as traditional video shooting in 1080p HD at 60fps. Wi-Fi, scene recognition and a 360 panorama mode round out the camera’s list of features. 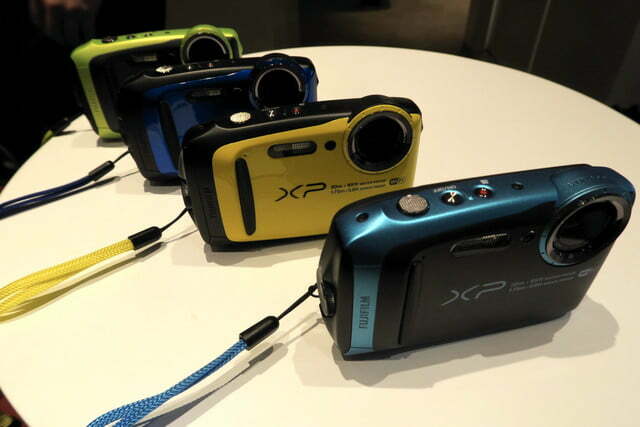 The Fujifilm XP120 will be available at the end of February in several colors, listing for $229, making it one of the more affordable waterproof compacts on the market. 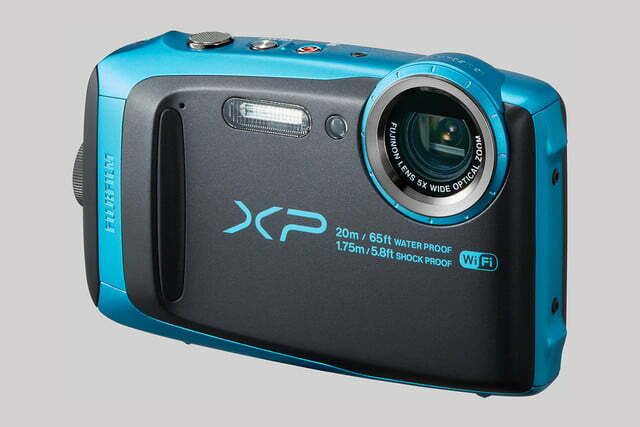 The XP120 is the only new FinePix model. While Fujifilm has pared down its point-and-shoot options to just one, the company says the rugged compact is still popular with consumers. 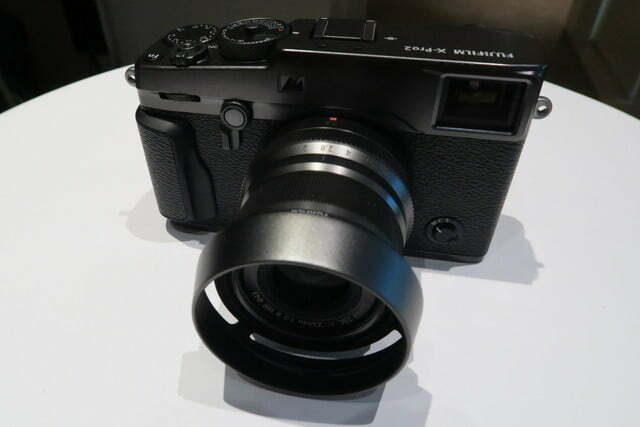 Along with the upgraded waterproof compact, Fujifilm also introduced new looks for the X-T2 with the Graphite Silver Edition and the X-Pro2 in Graphite with matching lens hood and XF23mmF2 R WR lens. Multilayer coating gives the cameras that metallic look, but otherwise both cameras are the same as the originals (see our review of the X-T2). 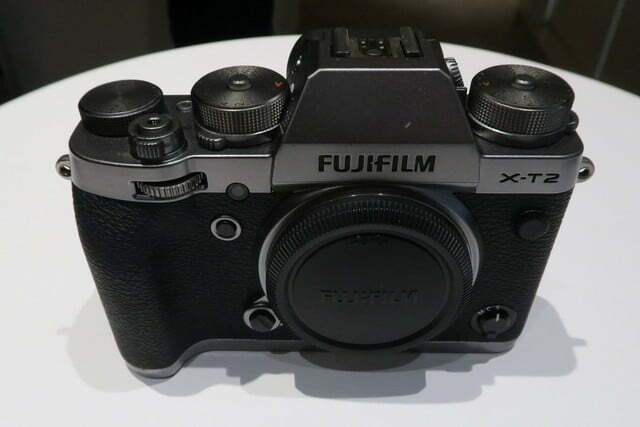 With the X-T2, Fujifilm says the new edition also includes tailor-made accessories, including a leather camera strap, aluminum hot shoe cover, and a matching EF-X8 flash. 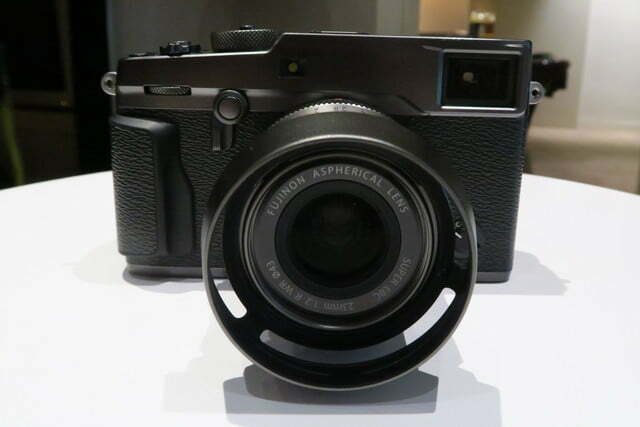 The X-T2 Graphite Silver will sell for $1,800 body only, while the X-Pro2 will sell for $2,300 with the matching kit lens – a slight bump from the original versions. Both are available this month.